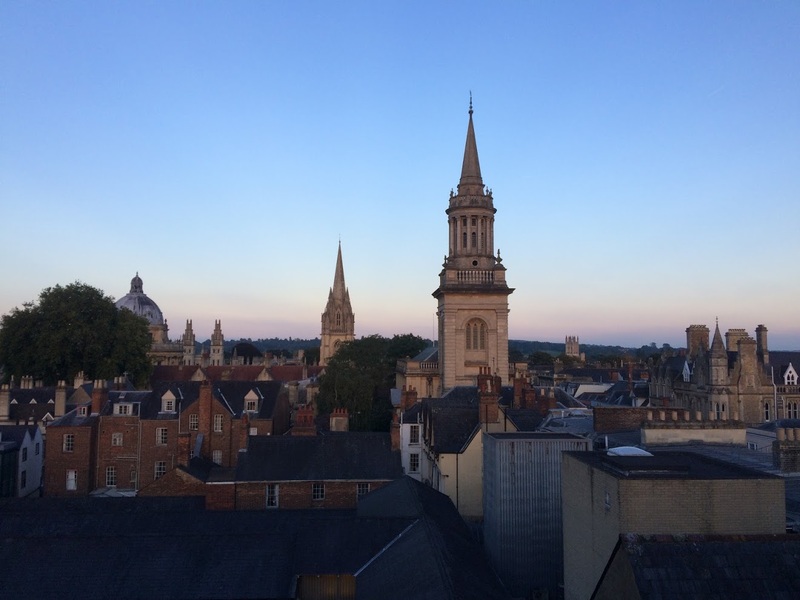 Sipping a cocktail on the rooftop bar of the Varsity Club in Oxford, it’s hard not to feel a little smug as you observe the churches, colleges and towers that make up one of Britain’s most picturesque cities. Oxford’s cobbled labyrinthine streets can at times resemble a game of Pac-Man as you walk around the city’s major tourist sites, trying to avoid being swallowed up by swathes of camera-toting tourists. But up here, you’re safe from the selfie sticks. If it’s your first visit to the city, you’ve probably come to see the university’s historic colleges. There are 38 in all, so it pays to be selective. 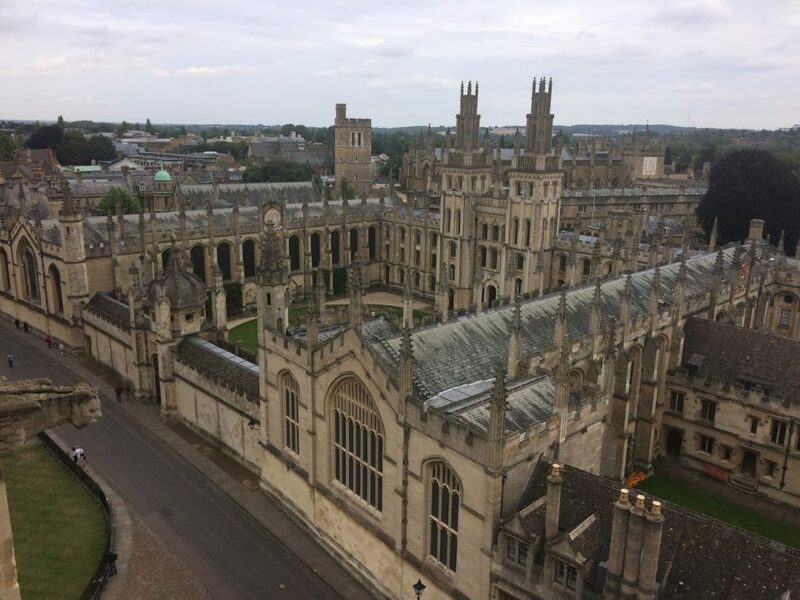 If you’re happy to tolerate the crowds, Christ Church is one of the most famous colleges and admission costs between £7 and £9 depending on the time of year. The college hall has been used since the 16th century and was the inspiration for the design of the dining hall at Hogwarts in the Harry Potter films. This claim to fame has only served to add to the college’s popularity with tourists, with nearly half a million visiting every year, but The Meadow on the college grounds provides a peaceful escape, where you can stroll along the Broad Walk by the riverbanks. 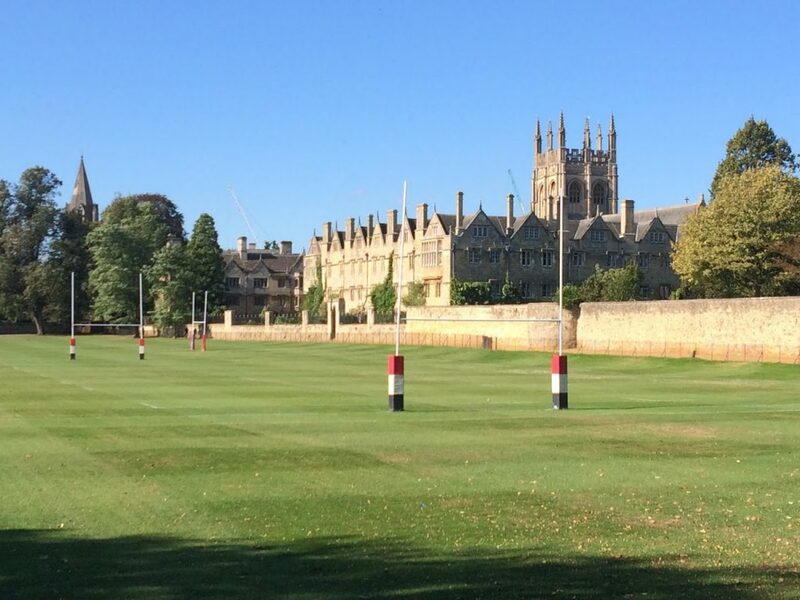 Magdalen (pronounced maudlin) is another historic college. Tickets to the impressive buildings and grounds cost £6. The surrounding gardens and parkland have views of the Deer Park and invite visitors into the secluded Fellows’ Garden. The paths run parallel to the River Cherwell and next to the college is one of the best places to hire a boat and go punting. At the Magdalen Bridge Boathouse, you can hire a punt for up to five people for £22 per hour. If you would rather stay land based, the Botanical Gardens opposite Magdalen College are another way to relax away from the crowds. Entrance to the garden, which was established in 1621, costs £5. For breathtaking views over the city centre, climb the narrow staircase to reach the top of the tower of the University Church of St Mary the Virgin. Tickets cost £4 and the view of the university’s colleges show how the shape and architectural style of the buildings have changed over the centuries. If you need a rest after descending the tower, the connected Vaults and Garden cafe is an enjoyable place to admire the imposing Radcliffe Camera. Constructed opposite the church, it was built in the 18th century to house the Radcliffe Science Library. Two minutes’ walk away is the famous ‘Bridge of Sighs’ landmark, which is a skyway joining two parts of Hertford College over New College Lane. Walk a little further from University Church and on the other side of the Radcliffe Camera is Blackwell’s book shop which, according to the Guinness Book of World Records, boasts the largest single room selling books in the world. The shop was opened in 1879 and its famous basement, which now contains more than 160,000 books, was created by excavating underneath Trinity College. Admission to the Ashmolean Museum is free and is an excellent way to shelter on a rainy day while learning about civilisations throughout history. The light and airy exhibition was founded in 1683 and the collections on show range from Egyptian mummies to modern art. To learn more about the city’s own history, explore Oxford Castle. Built in the Middle Ages, the castle’s wooden structures were replaced by stone in the 11th century. Over the years the fort’s military importance diminished and it was primarily used as a prison from the 14th century. Indeed, a prison remained on the site until 1996. Visitors can learn more about the castle’s past by taking a guided tour for £10.95. Oxford has an enviable selection of pubs, bars and restaurants. For the best brunch in town, head to Silvie, a bakery cafe in the east of the city, which cooks tasty pancakes and Turkish eggs. For those with a busy itinerary, G&D is a great spot for lunch. There are three affiliated cafes in the city, all with names beginning with G&D, such as George & Danver, and all serve bagels and tasty snacks. Their speciality though is ice cream. One store has a suggestions folder, where you can see the flavours previous customers have requested, and the number of people who support the idea. If a flavour receives enough backing, it is added to the menu! Another store challenges customers to solve three logic puzzles to receive a free scoop. Oxford has a range of dinner options, but the first to make its claim was probably Turf Tavern, a historic pub dating back to 1381. It is located down secluded Bath Place, a couple of minutes from Blackwell’s book shop. Nearby is Edamame, an authentic Japanese restaurant, while Zheng’s has become a critics’ favourite for its selection of Malaysian, Chinese and Singaporean dishes. Beyond Magdalen Bridge is Kazbar, a Spanish and Moroccan restaurant serving delicious tapas dishes in a quirky decor of North African lanterns, kilims and mosaic tables. If you want to venture outside of the city centre and away from the hive of tourist activity, you can build up an appetite walking through some of the city’s parks and fields on the way to the Chester Arms in the south east of the city, or the Victoria Arms in the north east. The former is renowned for its huge steak platter, which is recommended for two to three people and costs £35. Just don’t try to eat it by yourself – you won’t succeed! To reach the Victoria Arms’ extensive riverside garden, walk through the pretty Oxford University Parks and over the River Cherwell to the pub in Old Marston. Two other restaurants popular with Oxford residents are The Perch and The Trout Inn. 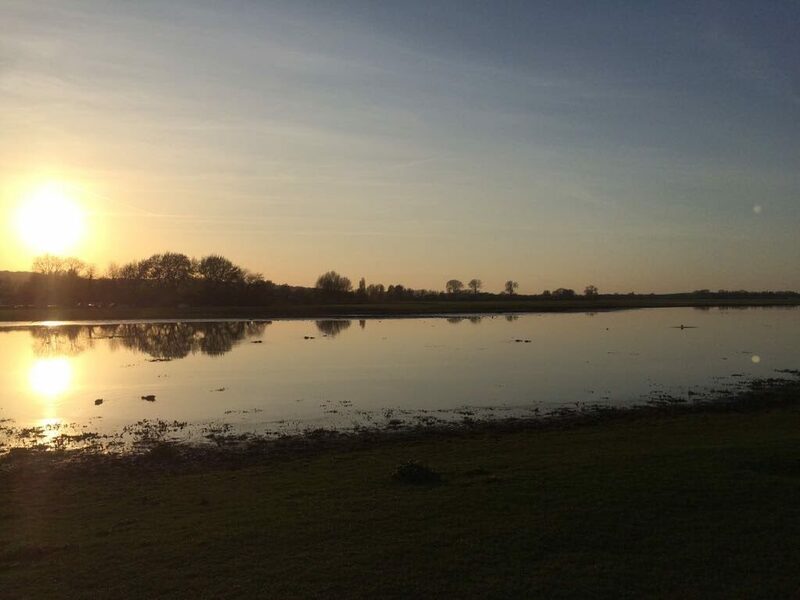 Both border Port Meadow, a flat stretch of unspoilt greenery by the River Thames that is inhabited by wild ponies and feels remarkably remote, despite its proximity to the city centre. The two restaurants serve high quality, classic British food and have beautiful gardens to enjoy in the summer. The city is also well served by its variety of bars. The Oxford Wine Cafes in Summertown and Jericho are both stylish establishments, while The Rickety Press is a relaxed, atmospheric pub with board games that offers half-price burgers on Mondays. Elsewhere in Jericho is Raoul’s, an intimate lounge bar which is widely considered to make the best cocktails in the city. Sinners should head to Freud, roughly 100 metres further down Walton Street, to pay tribute to the cocktails in this converted stone church with eye-catchingly decadent stained-glass windows. Last, but certainly not least, the owners of the Oxford Wine Cafe have recently opened another venture, Sandy’s, to popular acclaim. The wine bar has a late-night licence and encourages guests to choose songs for the in-house pianist to play.